It was called the Southeast Alaska Folk Festival, but even that title was probably too grand at the beginning. 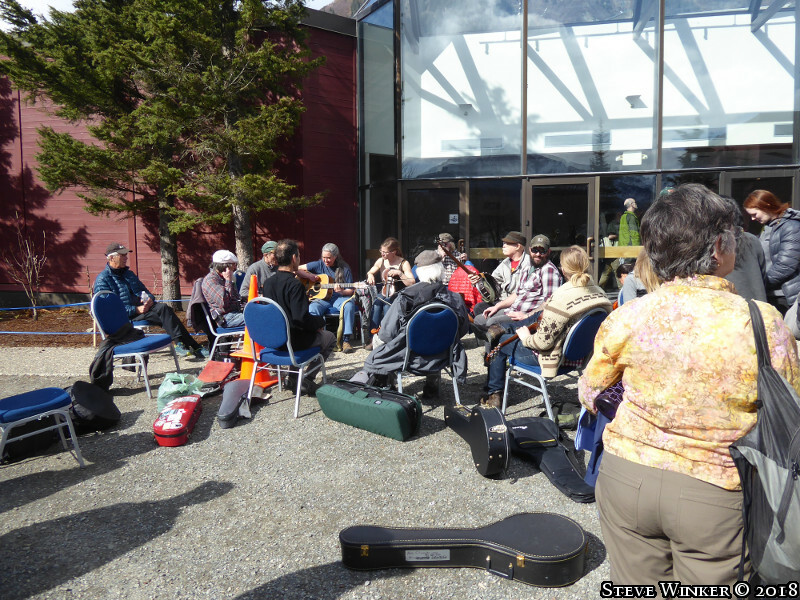 What happened was, a bunch in Juneau who enjoyed pickin' and strummin' and making music the old-time way were talking one cold winter night in '75 and everyone agreed that what they needed--what the whole town needed -- was a musical break from cabin fever. So, without anticipating the grand tradition they were putting in motion, they contacted the state museum, reserved the Governor's Gallery, and -- as much in humor as in actual expectation - named their one night stand the First Annual Southeast Alaska Folk Festival. 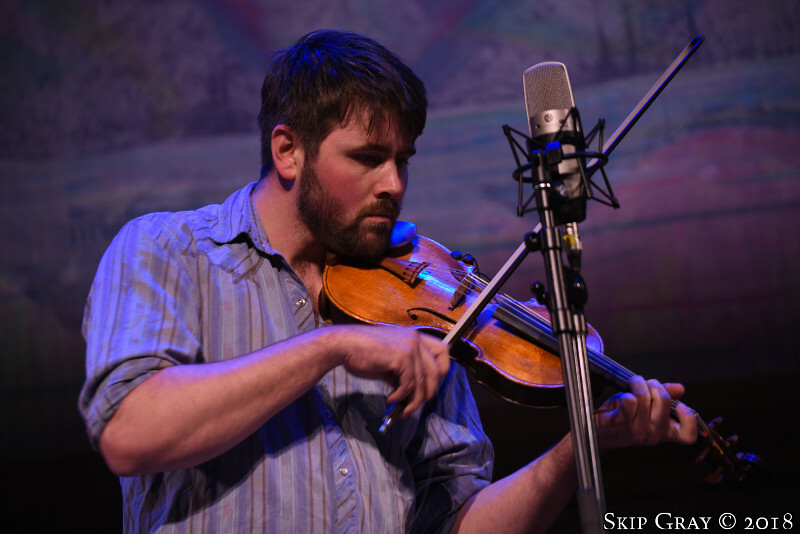 More than 400 musicians and spectators showed up to plink, plunk, play the bones, sing, stomp, and revel in the fun of shared entertainment in the folk tradition. Even before the end of that first night it was established that this event was going to happen every year. And it has. 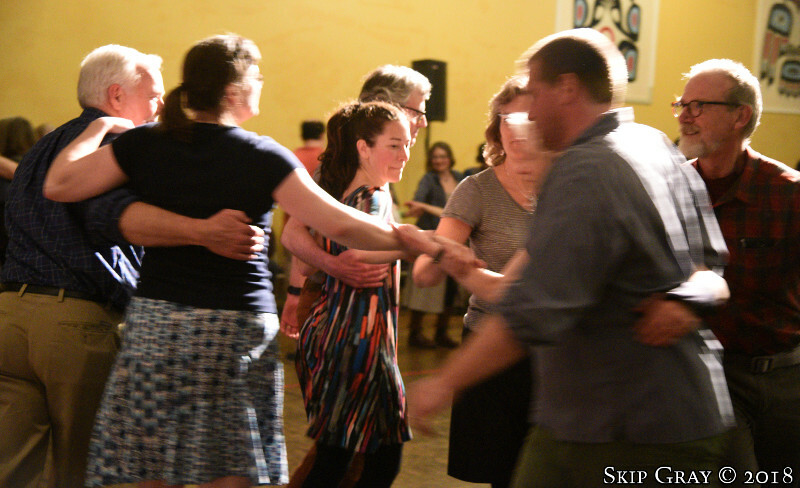 On March 28 through April 1, the 1984 get-together will be the tenth gathering of what is now proudly and accurately called the annual Alaska Folk Festival. "First of all, it was to be a free public concert," he says. "We wanted anybody to be able to come and enjoy this music, whether or not they had the price of admission. "Second, the stage would be open to anyone. From first-show performers to professionals we wanted this to be a time of sharing talent. There'd be no top billings. No preferred times for more experienced performers. And no pay for any of the musicians." Bob Banghart (another of the festival founders, a stringed-instrument repairman and no mean fiddler) points out that since 1977 the festival had made an annual exception to the no-pay rule. 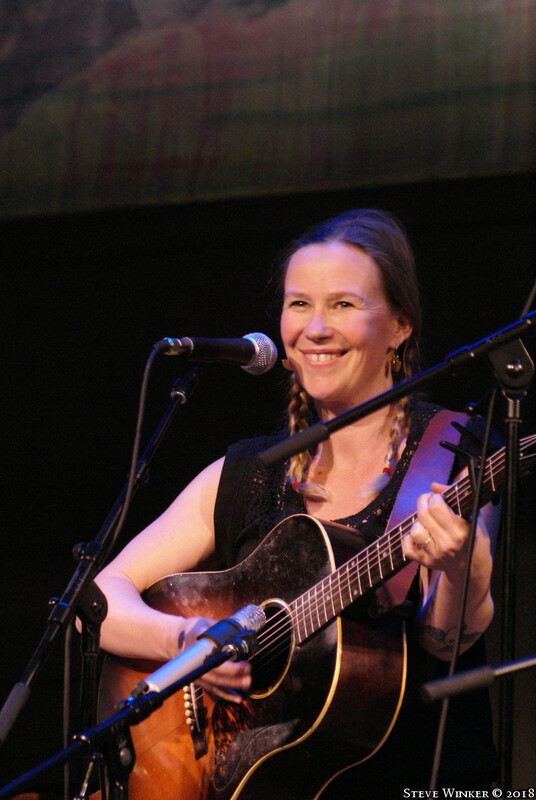 The festival funds one nationally recognized musician or group each year. The first year it was the singer and guitarist, Merle Travis, just recently deceased. Following Travis came an old-time Kentucky fiddler, J.P. Fraley, then Lidia Mendoza, an aging but ageless singer-guitar artist of Tex-Mex music. Following her there were the Balfa Brothers of Cajun fame, folk-blues vocalist Eric Von Schmidt (an old friend of Pavitt's, from his Florida days), Mike Seeger -- who mixed gospel sound with Appalachian coal miners' laments and early American music -- last year, Jethro Burns. Burns is the Jethro half of the old "Homer and Jethro" comedy and music team. 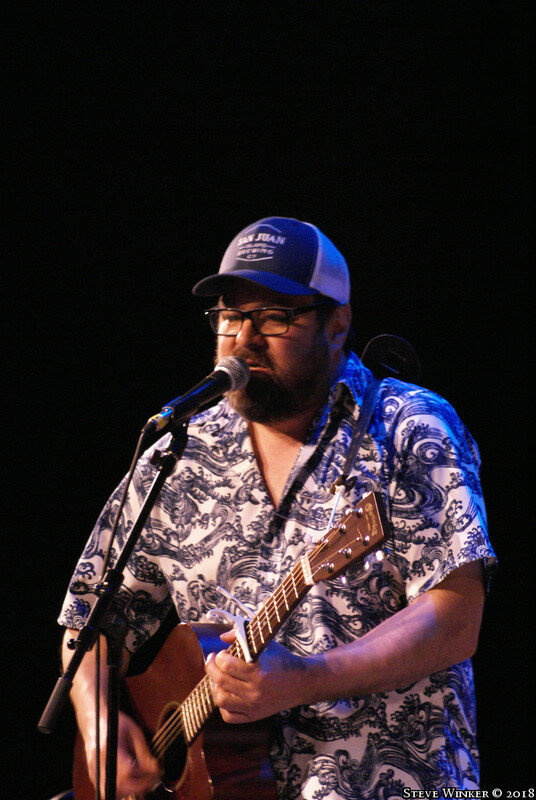 His most recent album, "Tea for One," features some of the same music and jokes that festival attenders enjoyed on the Juneau stage. Banghart, Pavitt, and other organizers have insisted upon using the state museum for at least part of each year's program. Because of the festival's mushrooming popularity it became obvious early on that the Governor's Gallery in the museum couldn't accommodate thousands who wanted to attend. So it became the custom to hold some of the performances in Juneau's National Guard Armory. This year, shows will be staged in the new Centennial Hall convention center. "But we don't want to abandon the museum," says Banghart. "There's an environment there, an intimacy between performer and audience, that everyone who ever works there just treasures." Pavitt agrees, noting that "first-timers, in particular, enjoy the feeling that they are just playing among friends." The armory, and this year the convention center, are more imposing. This year's program calls for Wednesday and Thursday shows at the museum, Friday through Sunday at the convention center. Incidentally, funding to use the new hall in the festival's tenth anniversary year came from the Silver Anniversary Committee, a local group helping celebrate Alaska's twenty-fifth year of statehood. This year's featured performer is Michael Cooney, a folk singer and guitar, banjo, and mandolin player from Toronto, Ontario. But more important that the featured artist, says Pavitt, are the many other performers who attend. "We'll be hearing some exceptional folk entertainers from Anchorage, Fairbanks, the rest of Southeast Alaska, probably from Seattle and from Whitehorse in the Canadian Yukon. And they'll be not only fiddlers and guitarists, but poets, bones players, dancers, even jugglers." [sic] of recent years has been Fairbank's "Dr. Ogstad and his Traveling Medicine Show," complete with music, testimonials, a miraculous elixir for sale, and even miracles. A fellow named "Too Tall Pete" drank some of the fabulous liquid and immediately shrunk to normal proportions. Only a few of the appreciative audience believed he had previously been elevated by stilts. Be careful; if you catch the bug you're liable to start coming each year as performers instead of spectators. "What's been fun," says Pavitt, "is watching individual talent grow over the years. I recall some time back two gals come down from Mount McKinley, Alaska and performed on stage for the first time in their lives. They weren't, honestly, all that great, but they got the performing bug and by the time the next festival came around, they'd improved like you wouldn't believe. "And Al Eagle of Juneau...he'd never held a banjo in his hand until he heard a bunch of them played at the festival and went out and bought one of his own. A year later he came back and did his first piece. A simple piece, to be sure, but fun and nicely executed. Since then, every year he's gotten better and better. Now he even writes his own stuff -- and its's good!" As noted before, there's no charge for attending festival shows. In fact, although tickets are distributed free at Juneau bookstores, if you're from out of town you don't even need a ticket for the performances and workshops. Just show some out-of-town ID and you'll be admitted. About a third of the seats for each program are reserved for visitors. There's just one catch. Be careful: don't expose yourself too much to the fun that goes around. If you catch the bug, you're liable -- like Al Eagle or the women from the Interior -- to start coming back each year, as performers instead of spectators. Mike Miller is a travel writer, a legislator, and resident of Juneau. You couldn't pry him out of Southeast with a steam shovel.